Happy National Taco Day and Taco Tuesday (it doesn’t get better than that)! As you all know, tacos are kind of a big deal for us (they are even in our logo). We haven’t missed a Taco Tuesday in almost three years! Come hell or high water, if its Tuesday, we are eating tacos. We even planned our upcoming honeymoon around taco availability! 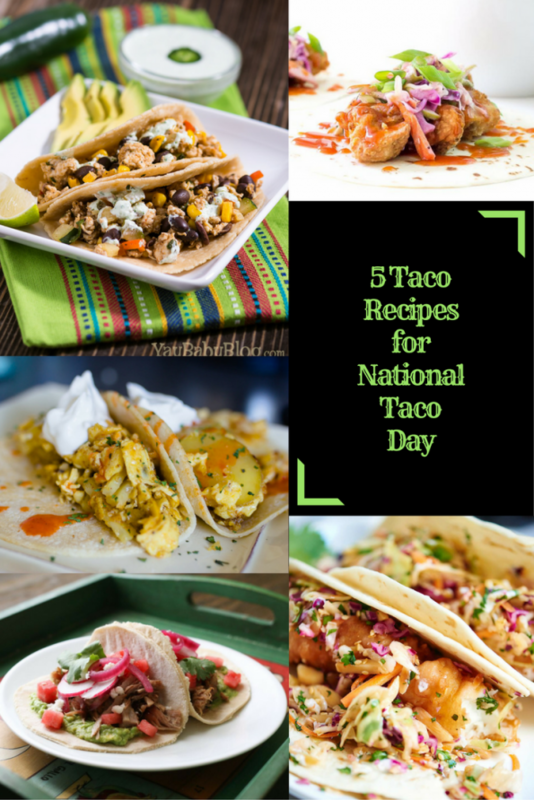 We thought that instead of creating our own recipe for National Taco Day it would be fun to share recipes from some of our favorite foodie friends. 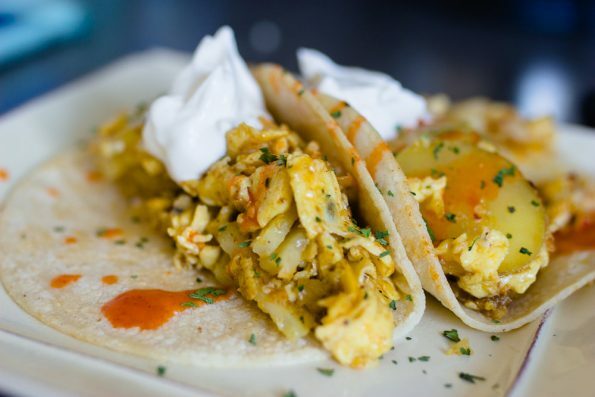 We’ve rounded up a range of tacos from vegetarian breakfast tacos to chicken tacos and more! There is something for everyone in this list. So let’s get started! Beer Battered Fish Tacos from Show Me The Yummy- These tacos take the quintessential fish taco recipe and turn it on its head. 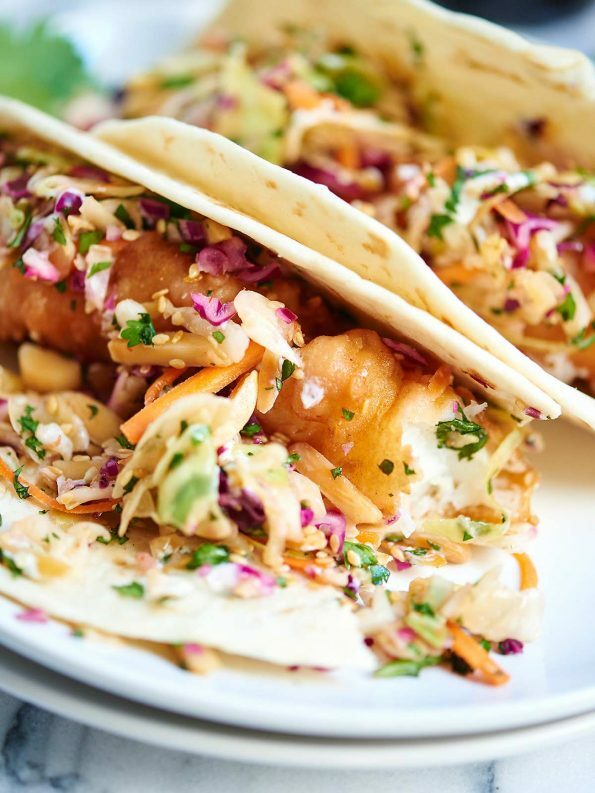 Instead of a traditional cabbage saw, SMTY uses an Asian slaw bringing a fun new twist to the beer battered fish taco. Ground Chicken and Veggie Tacos from Yay Baby! Blog- Any time you can add veggies to a taco in a unique way we are all about it! Our pal Angels loads this ground chicken up with one of our favs, zucchini! 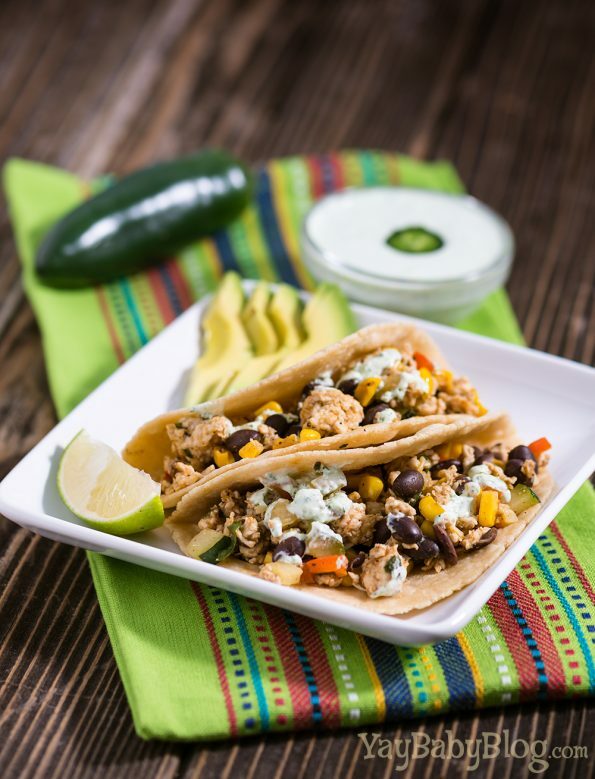 These tacos are the best of both worlds, healthy and tasty! 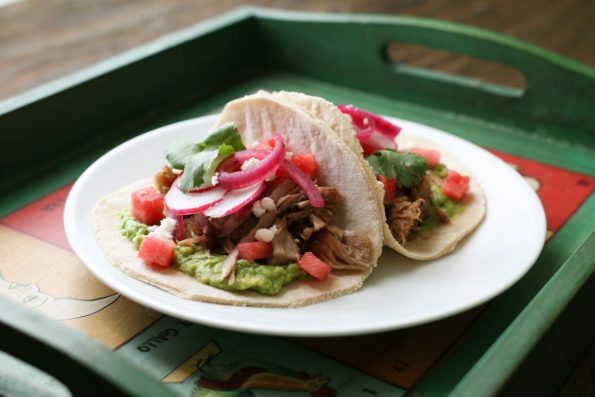 Pressure Cooker Pork Carnitas from Joanie Simon- With this carnitas recipe, kitchen guru Joanie Simon, shows you how to feed the masses (literally, it makes 40 tacos). Perfect for parties, tail gates, and more, this delicious recipe will soon become your go to! Quick and Easy Breakfast Tacos from MomNoms- When searching for recipes to include in this round up, we knew we wanted to include a breakfast taco and a vegetarian one. This recipe is both! Potatoes, egg, and cheese, what’s not to love about that? 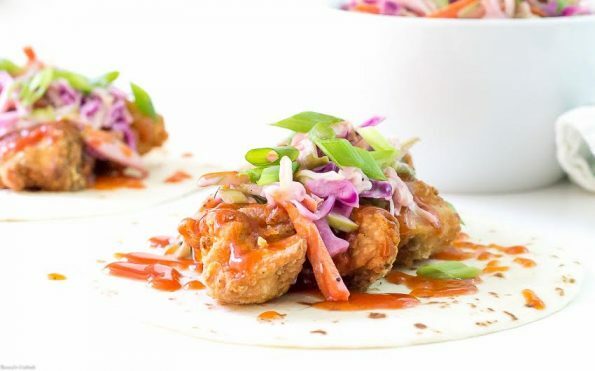 BBQ Fried Chicken Tacos from Thyme for Cocktails- Did someone say Honey Whiskey Barbecue Glaze? Yep, you read that right! Anything with whiskey involved can’t be half bad right? Well if that doesn’t sell you on these tacos, the fried chicken should! Well that about does it for this round up! We hope we’ve given you some ideas for celebrating National Taco Day and future Taco Tuesdays. If you’re not using one of these recipes, which are you using? Leave us a comment below or use the hash tag #GeekEats. Be sure to tag us in all of your taco photos! We’d love to see them! *This article is comprised of recipes and photos collected by the Geeks; Original recipes were created by the listed sites and have been used with owner’s permission. View our Disclosure Policy for more info. Thank GOODNESS we’re in Austin right now, because after reading this post I want to eat #allthetacos. 😉 Thanks for including our Beer Battered Fish Tacos! !